SLA is a supporting organisation for IoT Asia and Last Mile Fulfilment Asia (LMF Asia). 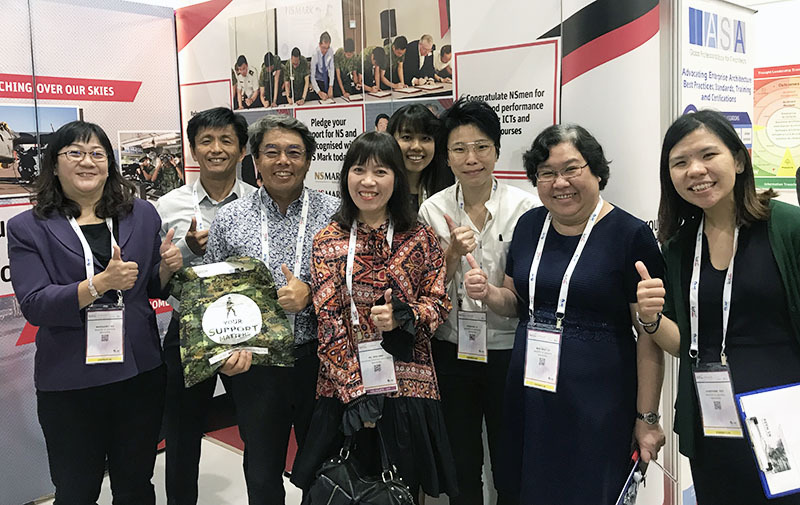 Both events took place from 27 to 28 March 2019 at Singapore EXPO. The opening ceremony was officiated by Dr Vivian Balakrishnan - Minister for Foreign Affairs, also Minister-in-charge of the Smart Nation Programme Office. With the theme “Transforming Businesses, Government and Societies”, the 6th edition of IoT Asia brought solutions providers, technology heads, design / solution architects, engineers, academic institutions, investors and start-ups together for an enriching learning and sharing experience. The conference addresses the interests of the IoT ecosystem players within the 5 key segments - Smart Cities, Industrial IoT, Artificial Intelligence, Blockchain, Data Analytics and Enablers. Co-locating with IoT Asia was LMF Asia, the 5th in the series which brought together the region’s leading practitioners to explore the latest innovations, the changing landscape of cross-border e-Commerce and unveiled solutions that are transforming the e-Commerce logistics needs of today’s global digital-native consumers. With the theme “Reinventing Retail Fulfilment for an Evolving E-Commerce Environment”, LMF Asia enhanced its focus to showcase solutions not just for parcel delivery, automation, warehousing, but also putting a spotlight on omni-channel fulfilment, customer experience, SMART logistics, big data and behavioural analytics, SMART commerce, urban logistics and retail tech. 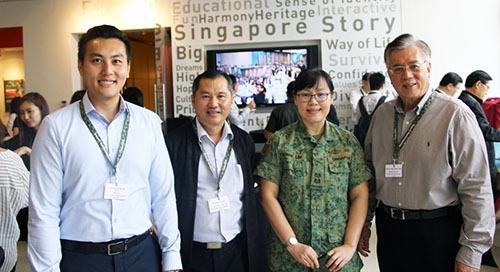 SLA was represented by Mr Gerry Tan – Honorary Secretary, Ms Gina Toh – Chairman for E-Fulfilment Committee and Ms Ng Soo Hwa – Executive Director where they meet with MINDEF, one of our strategic partners for a catch-up session. On 20 March 2019, Mr Thomas Sim - Second Deputy Chairman, Mr Tan Puay Hin - Chief Executive, Mr Max Ee - Training & Development Committee Member and Mrs Chua Li Tzer - Deputy Director, Corporate Services & Human Capital Development received the Ambassador of the Embassy of the Republic of Uzbekistan in Singapore. The areas of interest include trade missions, exchanges and business matching as well as training collaborations. There will be a delegation from Uzbekistan visiting Singapore in July 2019 with support from MTI and SBF. How do you build an adaptable workforce that thrives in the face of change? SLA organise this exciting inaugural HR Engagement Session, Building Our Future Workforce held on 18 March 2019 with the support of Workforce Singapore, NTUC and SNEF. 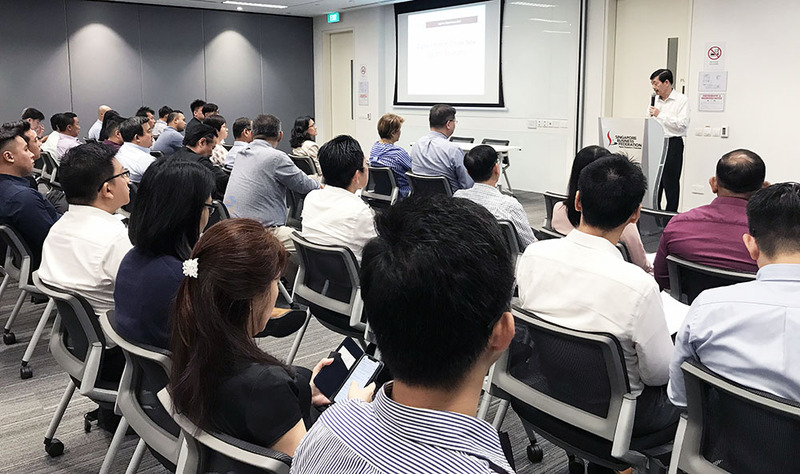 The event offered HR leaders and professionals with leading insights on the logistics industry outlook for this year, changes to the Employment Act and how to build strong human capital by turning employees from resources to assets. Participants also engaged in an interactive panel discussion on transforming our workforce that was moderated by Mr Gideon Lam – SLA Council Member. Held concurrently with the forum was a showcase of innovative HR solutions, as well as 1-to-1 clinics with consultants from CET Global Pte Ltd, SNEF - Industrial & Workplace Relations and Singapore Polytechnic on how to develop your human capital while staying competitive. The whole session was well attended by over 70 attendees. Coordinated by the Land Transport Authority, Singapore’s designated competent national body under the ASEAN Framework Agreement on Multimodal Transport (AFAMT), Mr Gerry Tan - Honorary Secretary participated at the Capacity Building Workshop on Multimodal Transport and AFAMT Meeting in Ho Chi Minh City on 20-21 February 2019. Organised by the ASEAN Secretariat with support from the EU ASEAN Regional Integration (ARISE) Plus, multimodal transport within ASEAN member-states were expounded at length. Updates and developments with regard to ratifying and operationalizing AFAMT were the key agenda at the AFAMT Meeting. 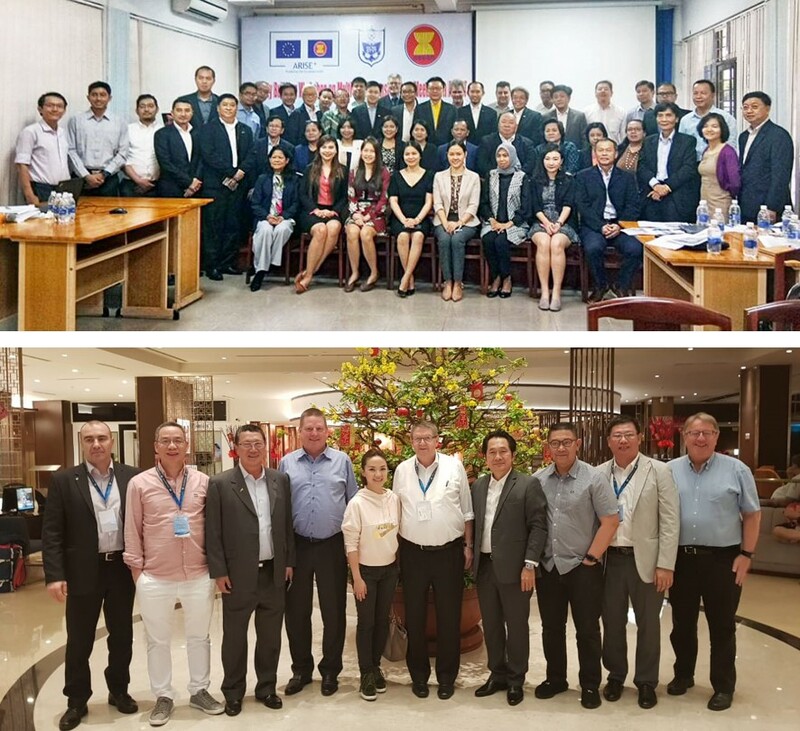 Vietnam Logistics Business Association (VLA) organised the Workshop on Vietnam Logistics Overview, Start-Ups in Logistics Solutions followed by a visit to the new Saigon Port in Cat Lai on 11 February 2019. 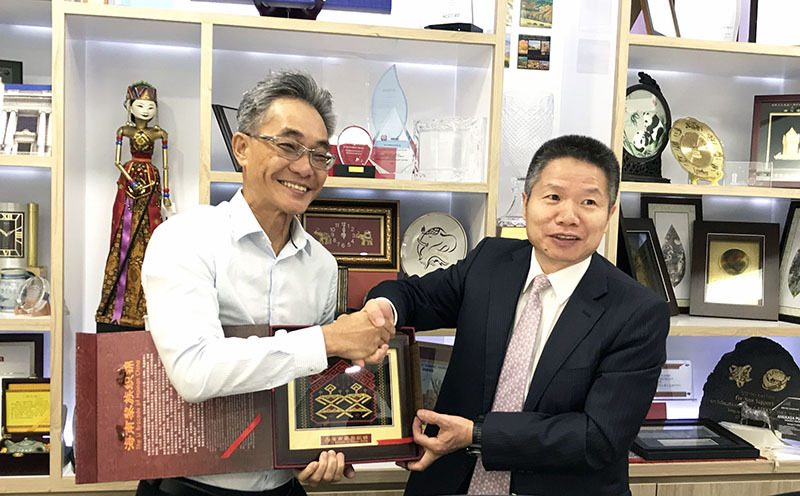 Mr Stanley Lim – Chairman for Internationalisation Committee participated and gained insights on the Vietnamese plans to strengthen international cooperation. 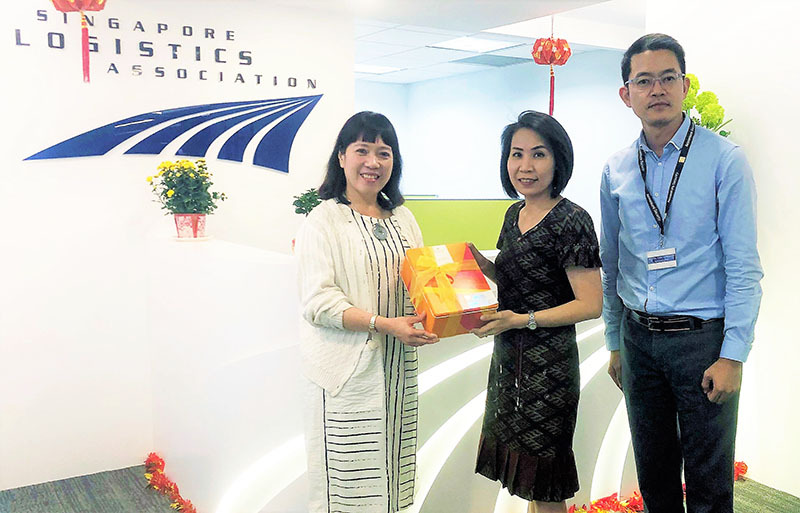 Mr Poh Kay Leong, Group Deputy CEO of Poh Tiong Choon Logistics Limited, a member of SLA, shared that he appreciates the transferable skills that National Service (NS) training imbues in his employees. These skills include leadership, discipline and team work, which increases their effectiveness and productivity at work. Mr Poh was at a networking session for the logistics sector on 20 February 2019 hosted by National Service Directorate / MINDEF and he applauded this initiative to bring together employers to network and learn from one another. The Supportive Employers Networking attracted about 70 like-minded employers to network, learn and emulate the support of companies towards NS and Total Defence (TD). The logistics community in Singapore put up a strong showing at this event. Apart from Poh Tiong Choon Logistics Limited, ST Logistics Pte Ltd, another SLA member, was also present to share their pro-NS and advocacy journey. Other members that participated include WWW Cargo Pte Ltd and Singapore Post Limited. “Our NSmen do not need much, what they need is the company’s support.” Mr Mohamed Haniffa, Manager - Engagement, shared how ST Logistics values and makes an effort to understand their NSman employees’ In-Camp Training (ICT) commitments. The company implemented a work-buddy system to ensure that work is covered when NSman employees return for ICT. “The commitment of support from the Company is always there.” This reinforces the importance of NS as a company-wide philosophy and culture in ST Logistics. Mr Kwok Chee Wei, Director of WWW Cargo Pte Ltd found the sharing session useful. After learning about some practices that ST Logistics has implemented to recognize their NSman employees, he remarked “oh yes, I can also do these for my NSmen”. Mr Kwok feels that as a small nation, Singapore needs our defence force to allow us to enjoy the security and stability and that he was more than ready to support NS and his NSman employees. As a testament of their support towards NS and TD, about 70% of the companies present signed up for the NS Mark accreditation scheme to be recognized as supportive employers. Join this extraordinary league of NS supporters. Click here to find out how you can take the first step today or email [email protected] to find out more. 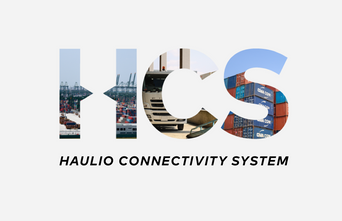 Local logistics-tech start-up Haulio, a member of SLA, unveiled Haulio Connectivity System (HCS), the first mobile app that connects container haulage companies and drivers on 20 February 2019. The launch event was graced by Dr Lam Pin Min, Senior Minister of State for Transport and Health, and supported by PSA, IMDA and WSG. The launch of HCS complements Haulio’s existing resource pooling platform – the Haulio Community Platform (HCP), priming them to be Singapore's fastest-growing centralised marketplace via a mobile platform to facilitate resource sharing and digitise operations for container haulage. Haulio also signed a Memorandum of Understanding (MOU) with Yang Kee Logistics to exclusively collaborate on integrating HCP with Yang Kee’s Logistics Integrated Transport Ecosystem (LITE), together with the mobile app. LITE is a project led by Yang Kee Logistics – another SLA member and supported by Enterprise Singapore, to develop a cloud-based platform that connects multiple stakeholders and intermediaries like hauliers, depot operators and freight forwarders. This will enable real-time information exchange and yield productive operations by digitising manual processes to enhance supply chain visibility. With the app, drivers can access an overview of their performance, trip incentives and shape behaviour via their HCS dashboard. They can also enjoy seamless communication with their controllers via mobile. The app syncs with PSA’s Port Messaging system for easier assignment and management of jobs, and a Digital Trip Form function that can archive and record data of a driver’s daily trips, thus eliminating manual entry and allowing faster reconciliation of jobs. HCS can also integrate with users’ various existing Transport Management Systems. With more than 20 haulier users, HSC is currently available on Android and iOS. Mr Chua Geok Siong – Senior Trade Officer. 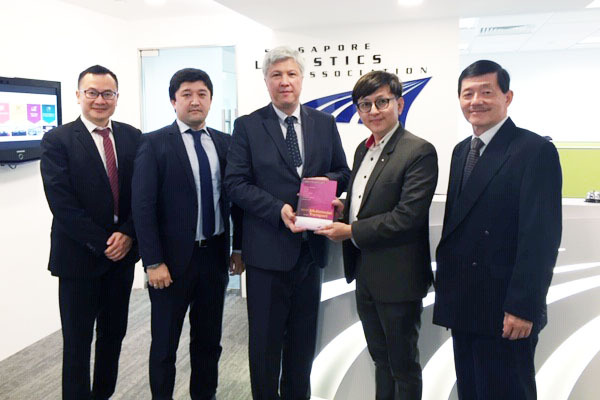 The discussion centred on recent initiatives undertaken by the Association for the logistics industry and members of the ASEAN Federation of Forwarders Associations (AFFA). Expounded at length is the hive – Highly Interconnected and Vibrant e-Trade project. Senior officials from the Hainan Government called on SLA on 28 January 2019 to understand the Singapore logistics industry and to make preparation for a 5-day visit of senior government officials to Singapore in the third week of February 2019. They were received by Mr Kay Kong Swan – Chairman, Mr Thomas Sim – 2nd Deputy Chairman, Mr Stanley Lim – Honorary Treasurer, Mr Tan Puay Hin – Chief Executive and Ms Ng Soo Hwa – Executive Director. To be led by the Hainan Provisional Party Secretary, Mr Liu Ci Gui, the objective of the impending visit is to promote the whole Hainan Special Economic Zone to Singapore companies and a focus group meeting is planned on 22 February 2019 at Shangri La Hotel. In the age of digital transformation, logistics companies are always on the lookout to leverage on new technologies to enhance their business processes and deliver sustained values to their customers. At the inaugural Logistics Digital Forum held on 17 January 2019 co-organised by SLA, IMDA, A*STAR and SBF, it was a chance for these companies to hear what was planned to help them go digital. At the forum, participants were updated on the Logistics Industry Digital Plan and support available for SMEs from IMDA’s SMEs Go Digital Programme whilst Mr Tan Puay Hin – Chief Executive presented on Digitalisation to Create New Logistics Solutions. Held concurrently with the forum was a showcase of ready-to-go technology solutions curated by IMDA and A*STAR, as well as clinics for enterprise on a 1-to-1 consultations with the SME Digital Tech Hub Consultants on their digital needs. The whole session was well attended by over 100 attendees and the clinics received overwhelming response with back-to-back sittings throughout the whole programme. Link: Click here for more information!